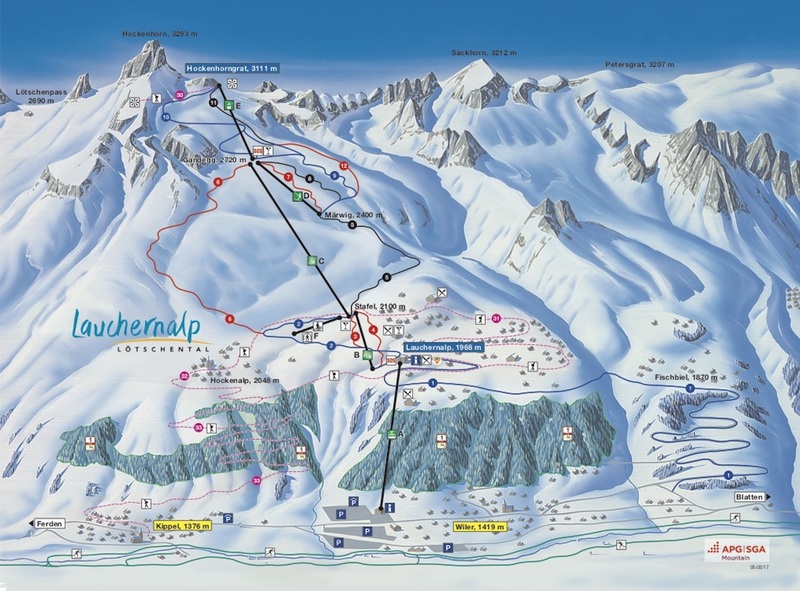 The winter sports area Lauchernalp with its 7 ski facilities and about 55 kilometers of well-prepared ski slopes is an attraction for everybody. The large free-ride area is well known among snowboarders and free-riders, offering unique and breathtaking powder snow runs. Non-skiers can enjoy the winter sports area by walking on the highest winter hiking trail in Europe at 3’000 meter altitude, which provides an unforgettable panoramic view on more than 40 mountain peaks of the famous four-thousand-meter mountain range from Valais. Qualified ski instructors warmly welcome the children in the playground area “Kinderland” where kids can experience their first ski lessons under the motto “Play and Fun”.